You know what I love about the snow? It’s an automatic conversation topic for when you run into people you kind of know, but not enough for conversation beyond weather. “OMG snow, amirite? !” Conversation gold. Also, snowball fights. 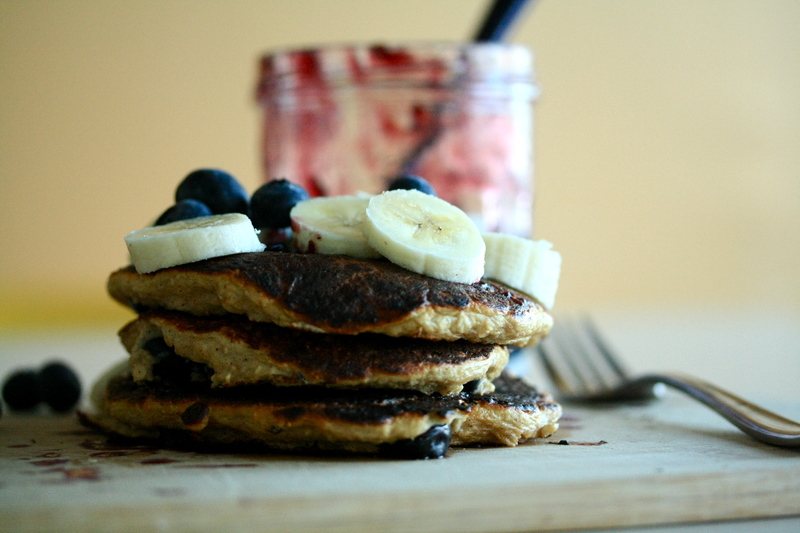 Ok so these are in no way Italian, but sometimes you need pancakes and you just don’t care. This morning was one of those mornings. I have fallen into an breakfast rut, where all I ever have for breakfast is oatmeal with bananas, blueberries, and peanut butter (which is actually the best oatmeal ever, so I’m not complaining), but I wanted to experiment with other ways to consume oatmeal, bananas, and blueberries.